Britney Spears is currently in London and she’s KILLING IT over in the UK. The singer and Queen of Las Vegas seems to having a jolly old time in the city, and is catching all the sights, including the iconic Big Ben. The star popped across the pond to the UK’s capital to play her first international show in five years at the Apple Music Festival, which took place on September 27th in the city’s historic area of Camden. Performing nearly her entire Las Vegas show, “Britney: Piece of Me,” the star wowed crowds, even if she stumbled a little bit. What’s more, BritBrit has been talking about her influences in a bunch of cool interviews, and we’re loving her honesty. What we’re SO excited about, however, is that the secret to Britney’s remaining flawless on stage has been revealed and you can re-create it for just $17! Speaking to Yahoo, celebrity makeup artist Mélanie Inglessis revealed the secret to Britney’s flaw free complexion on stage: EX1 Cosmetics InvisiWear Liquid Foundation. "It's all about long-lasting makeup," Mélanie revealed to Yahoo Beauty. Of course, doing a two-hour show each night, we can imagine that Britney’s foundation will need to really last. Just look at the energy she puts in! Showcasing the foundation on Instagram, Mélanie tested out a variety of different shades and we’re loving it. "Getting ready for @apple_music_festival #britneyspears @ex1cosmetics Invisiwear in 6/8/13/14. #yellowbased #ex1cosmetics #liquidfoundation #flawless #makeupbymél #uk #ex1newshadeslaunch #jointhehype" she wrote on Instagram. According to Yahoo, the $17 foundation by the British-based brand is actually a favorite among celebs and makeup artists. Reportedly, Adele used it at this year’s 2016 BRIT awards, and Kylie Jenner for her “no makeup” Elle UK cover. 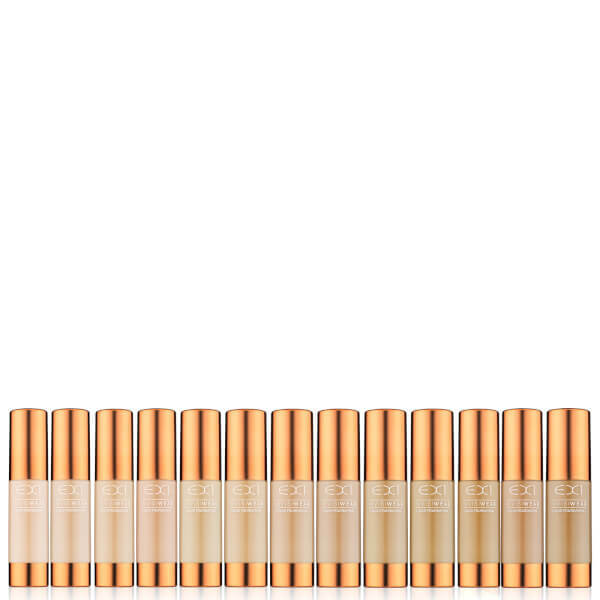 Okay, we’re going to NEED to try out this foundation, which comes in 30 different shades. Luckily, you don’t have to buy a flight to get it, either. In fact, you can pick it up for $17 from lookfantastic.com (and there’s free delivery). Tbh, we’d do anything to look as flawless as Britney. You can watch Britney’s whole Apple Music Festival performance on, well, Apple Music.